Two arguments: one bull, one bear. Steve Ballmer, former CEO of Microsoft ($MSFT), just reportedly paid $2 Billion to buy the Los Angeles Clipper of the National Basketball Association (NBA). To most, that sounds very pricey (especially when compared to the $575 million valuation Forbes gave them earlier this year). In comparison, the Los Angeles Dodgers went for $2.1 billion in 2012, but that also included some TV rights and real estate. The Clippers deal is just one that includes a team; a team that has been one of the worst over the tenure of Donald Sterling’s ownership. So there’s no doubt Ballmer forked up quite a bit. Now, I’m not going to show you why, from a basketball standpoint, Ballmer’s investment was wise (lots of things to do with TV deals and the NBA’s CBA). There are millions of basketball blogs that can and will do that. But I am going to show you why from an investment standpoint, buying the Clippers, even at a hefty price, kind of makes sense here for Ballmer. 1) The Stock Market is at all-time highs. While valuations are not crazy, they are also not cheap or fair either. Europe, Japan no longer offer deep value plays either after multi-year runs (especially relative to their economic situations). China’s Stock Market has been dead money for the last 5 years and has crushed investors. 2) Bond yields are still stuck near historical lows. The $FED (Federal Reserve), for now, is still keeping rates low. Even if they raise rates, you’re not going to see them go too much higher. Fixed-income investing is not too enticing right now. 3) Real Estate Is Not Super Cheap Anymore. Here are nominal home prices (Via Calculated Risk). Not at all-time highs, but not cheap anymore. And I suspect high-end homes (ones that Ballmer would be interested in) are even more expensive relative to where they were after the financial crisis/housing crash in 2010-2011. QE’s and unconventional monetary policies all around the world have failed to cause any significant and lasting spike in prices. In fact, deflation risk might be higher. Besides, commodities have rarely been good investments. Gold has sucked for the past 3 years and might be in a 10-year bear market as real rates slowly rise and demand falls. Art is what I call “stupid-expensive“. I’m not an art-analyst so I have no idea what a Van Gogh painting might be worth. But the only way that brings any return to you is if some sucker bidder buys it higher. So unless you’re willing to pay insane prices for a pretty illiquid investment in a small market, no way do you touch art. As for wine (which is looking like gold’s rise and fall) and other alternative investments (like Stamps), similar concerns apply. Market’s are pricey, illiquid and/or not large enough. 6) Startups are pricey too! There’s lots of “startups” or young companies these days. However, they are not cheap. Uber’s going for a massive valuation. And there are hundreds of startups that will likely fail. So to invest in a startup today is to pay a pricey number or to take a major risk. Now, I am generalizing. I’m sure there is some country that is worth investing in (For example, emerging markets, as measured by $EEM, have gone nowhere over the last few years). I’m sure there’s some fixed-income instrument that offers a reasonable yield. And I’m sure there’s a painting that will go for 30% more in a couple of years. But what I’m trying to get at is that it’s not easy to invest money these days as there is no “obvious” investment unlike the past few years (not that investing in anything is ever “obvious”, but at the moment, its “less obvious”). So why not go for something that is not available everyday, and go with a sports franchise in a sport that’s growing worldwide? So congrats on your investment Mr. Ballmer, it was probably the correct one. However, do know one thing. The Lakers still run LA (and most of the US). aQuantive. In August 2007, Microsoft acquired aQuantive, a online ad agency, for $6.3 billion cash, and 85% premium. At the time, it was Microsoft’s largest deal. “This deal takes our advertising business to a new level,” the company’s COO, Kevin Johnson, said at the time. How’d it work out? Microsoft took a $6.2 billion write-off on the business in 2012. “The acquisition did not accelerate growth to the degree anticipated,” the company said. Skype. In May 2011, Microsoft acquired Skype for $8.5 billion in an unsolicited bid “even though there were no signs of other serious bidders,” as we wrote at the time. The price tag was three times what the company had gone for just 18 months prior, as the company was scrambling to catch up in the mobile and Internet markets. How’d it work out? Microsoft doesn’t break out Skype revenue, so it’s hard to really know. But the service is popular, and they just unveiled a gee-whiz “Star Trek” like universal translator service. NokiaNOK1V.HE +2.16%. In September 2013, Microsoft acquired Nokia’s handset business, for $7.2 billion in cash. “It’s a bold step into the future – a win-win for employees, shareholders and consumers,” Mr. Ballmer said at the time. How’d it work out? You could argue, if you like, that it’s too soon to say; the deal closed only in April. But Microsoft controls less than 4% of the U.S. smartphone market. Moreover, whether it’s a win-win for employees, shareholders, and consumers, it was a definite loser for Mr. Ballmer: the Nokia deal was apparently the deal-breaker for him, and the internal fight over it led to his ouster. Yahoo. Of all the deals Microsoft did do, it’s the one that it didn’t do that may be the most instructive. In February 2008, Microsoft offered $44.6 billion for Yahoo, a 62% premium to the company’s stock, in an attempt to merge two struggling search businesses. It was a huge deal in the high-tech world, and it was a huge, public, messy battle that Microsoft eventually lost in one way, and won in another. Yahoo ultimately rejected the deal, although angry shareholder would later boot founder Jerry Yang over it. Yahoo’s stock, which was in the $30 range when the deal was announced, would soon sink into the single digits, and would languish in the teens range for years after. Not exactly a sterling record, no pun intended, and we didn’t even mention Microsoft’s stock, which went from $58 when Mr. Ballmer took over in 2000 to $40 and change today. If the argument is an investment argument then the bear case on the numbers is the most cogent. I have no idea what Mr Ballmer’s net worth is, but assume that $2B represents a fair proportion of his net worth and you have to ask about how concentrated this position is. Further, liquidity. Selling a basketball [or any sports team] can only happen to a fairly select group of investor[s]. 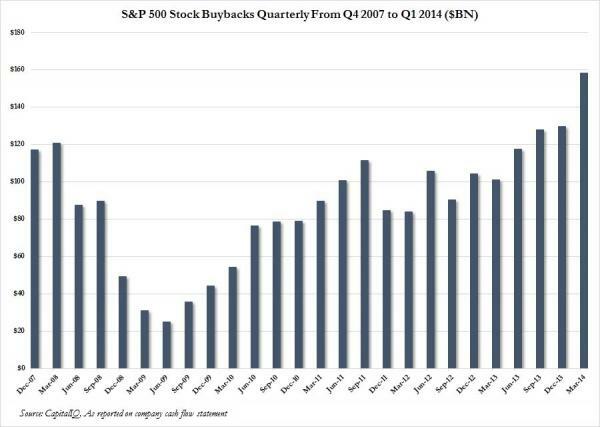 If you need to sell fast…for whatever reason, that might be a problem. Over the last few weeks I’ve been looking at possibilities for a second bike. 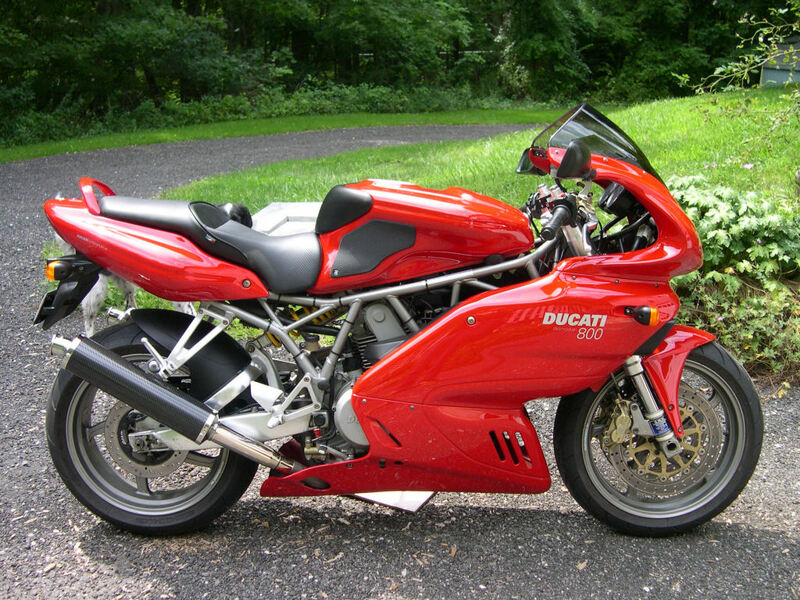 This is the one that I’m most partial to [not this specific bike] but the type, viz, Ducati 800ss. In his quarterly letter, Mr. Grantham estimates the market is currently overvalued by 65%, predominately because of the types of investors driving the market in the short-term. At some point, though, the party will stop. And that’s when a decline similar to what transpired in 2000 and 2008 could play out again, he says. We are in agreement on this. I have to totally disagree with Dean Baker’s recent piece claiming the “sharing economy” is bad for the economy. Specifically, he argues that Airbnb and Uber are bad for the economy. He cites the fact that Airbnb and Uber are less regulated businesses that can not only evade regulatory requirements, but can also evade taxes. That’s probably true to some degree, but it’s not a sign of some flaw in our economy. The growth of these businesses is just a sign of demand for better services because many of the businesses that currently provide those services aren’t providing what people expect. And so what we’ve seen is growth in competition because the competitors are simply providing a superior product that delivers the consumer a better overall experience. Take the case of Uber for instance. Uber offers transportation on demand via Sedans (for a higher rate) as well as UberX which is privately owned vehicles operated by part-time drivers (read, anyone licensed as an Uber driver using their own vehicle). Here in San Diego where the city is sprawling and rides are often 10+ miles this service is simply awesome. First, it’s less expensive than the cabs who essentially have a monopoly and gouge customers on any long ride. Second, the Ubers are cleaner and always nicer than the cabs, even if you use an UberX (the sedans are obviously much nicer though you pay a higher rate). And the drivers undergo a strict background check and in my experience are safer and nicer than most cabbies. They also tell me, universally, that they’re paid better than they would be working for the cab companies. And most importantly, the Uber technology makes getting a ride easy as a few clicks on your smart phone. All in all, Uber beats the pants off the cab companies. Competition came in, wrecked the cabbie monopoly and improved the outcome in almost every single way. For consumers the growth of this business is a huge win in just about every way. If you ask me, that’s not a flaw in the capitalist system. It’s precisely what we should be embracing. If the government is too incompetent or slow to evolve and adapt with the pace of changing industries, proper categorization of businesses and technological growth then that’s a problem with our government, not with businesses. The market as defined by the S&P500 is at all-time highs. Stocks again seem to moving higher on some renewed optimism. As sentiment seems to be the predominant variable currently, that could change just as quickly the other way. I remain market neutral, quite happy to let the market move which ever way it wants, while feeling no particular need to try and predict that move. This essentially sideways action however is extremely frustrating and makes for the most difficult environment in which to make money. This is probably why frustration levels are rising. There is only one strategy: sit tight and wait for a trend to emerge. It will. It always does. Small caps are on the radar. The argument being that historically if small caps break-down, then, the larger caps have always followed in the past and are therefore likely to do so this time. Assuming that in longer term portfolios you want to continue to hold stocks, then hopefully, as the market has risen, you have been taking some profits and have some cash on hand to buy if there is a significant dip. If trading, then some form of market neutral position. At the moment no-one really knows where the market is headed. There are good arguments for both sides. I’m going to sit still. Do nothing and be patient. At some point, the market will resolve, and you will know exactly what needs to be done.